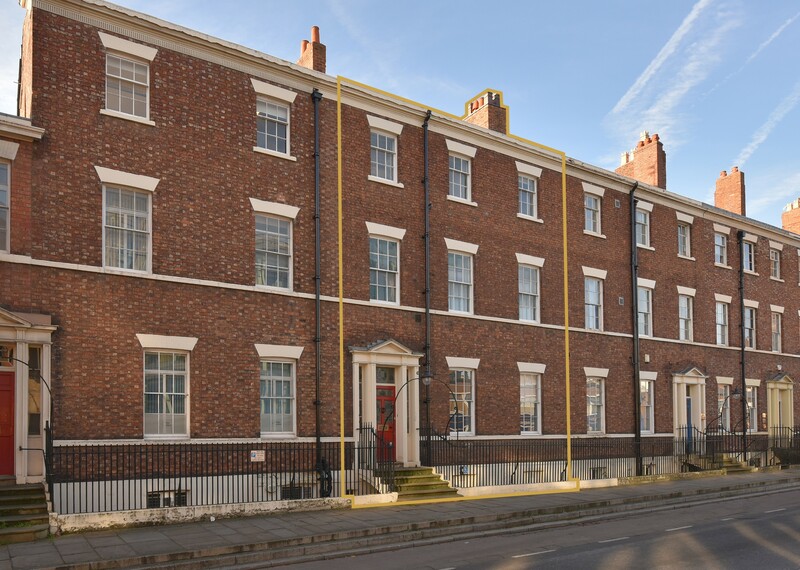 Suitable for continued use as a care home, conversion to alternative uses or re-development for alternative uses including residential, subject to the necessary consents. The property is located on Broad Lane, on the periphery of the town of Heswall in the Wirral. Heswall is approximately 9 miles to the south west of Liverpool and 15 miles to the north west of Chester. Junction 4 of the M53 motorway lies circa 4 miles to the north east and provide access to the wider motorway network. Heswall Railway Station is 1.3 miles east of the property. Heswall is a popular and high value residential location providing local amenities including schools, shops, cafes and restaurant. The property itself is situated in a semi-rural area, surrounded by some housing alongside agricultural fields and stables, and adjacent to the Wirral Way bridleway and footpath. The site comprises a modern substantial former purpose-built care facilities. It is constructed with a concrete fame with brick elevations incorporating UPVC double glazed windows and doors set beneath a pitched slate covered roof with dormer windows. The buildings themselves sit on a substantial site, extending to circa 3.76 hectares (9.2 acres), which include a hard surfaced sports pitch, garden area with high security perimeter fence, patio area and car park with spaces for around 34 cars. This is alongside a substantial field. Internally, on the ground floor the property provides a main reception area, games room, conservatory / lounge, wash room, laundry, visitor room, office, WC and a total of 13 bedrooms, all of which include an ensuite bathroom with ‘wet room’ style shower, WC and wash basin. The first floor provides a further 12 bedrooms, all of which are ensuite, alongside 2 lounges, a kitchen and dining room WC and storage rooms. The second floor provides staff accommodation, with large open plan office, 6 further offices, 2 staff kitchens, WC facilities, wash room and plant room. The property benefits from lift and stair access to both upper floors with two additional separate emergency exit routes. Floors are a mixture of carpet and linoleum covered, with plastered and painted walls throughout. We have been provided with a Gross Internal Floor Area for the main building of 1,438 sq m (15,479 sq ft). The property has a planning consent for a purpose built care facility. Under planning ref PAPP/15/00329, the property benefits from planning consent for an extension to the current building. In our opinion, the site has potential for residential development, or other alternative use development, and in this regard the clients have commissioned a planning appraisal on the site. The planning consultant’s comments are that the site falls within the Merseyside Greenbelt and as such “inappropriate development” should not be approved except in “very special circumstances”. However, the planning consultant advises further that there is a case for housing development limited to the scale and mass of the existing development on site (to include the planning consent already granted for the extension) which is relatively significant as it comprises a substantial 3 storey building with adjacent garden areas, access drive, lodge, tarmacked parking area, site hard standing and hard surfaced sports pitch. Consequently, we are of the opinion that the site may be suitable for demolition and redevelopment with private housing. Please note that interested parties should rely on their own investigations and due diligence on all planning matters. Detailed floor plans and floor areas are available on request. 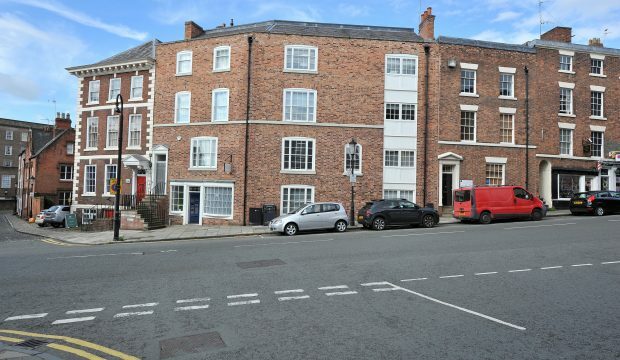 The property is currently held under a long leasehold title for a period of 990 years from 2006, under title number MS518854. A restrictive user clause within the leasehold interest would restrict redevelopment of the site but please note that there is a provision within the title to allow our client to purchase the freehold, so the freehold interest is potentially available. Our client is seeking unconditional offers in excess of £750,000. Alternatively, consideration will be given to a conditional onplanning basis at a price to be agreed. 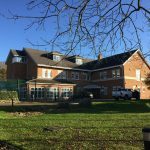 Modern purpose built care facility with 25 en-suite bedrooms on a site extending to 3.76 hectares (9.2 acres). Available with vacant possession. Adjacent two bedroom bungalow also available to purchase. 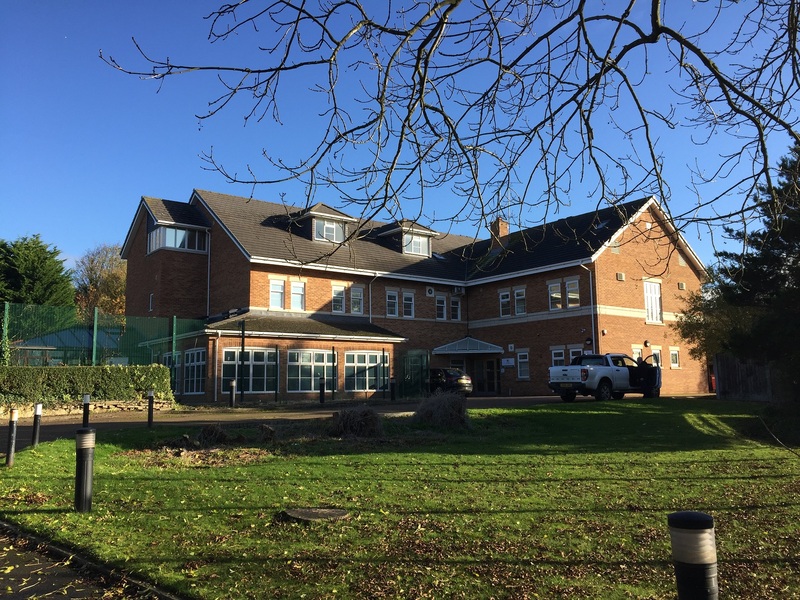 Suitable for continued use as a care home, conversion to alternative uses or re-development for alternative uses including residential, subject to the necessary consents.